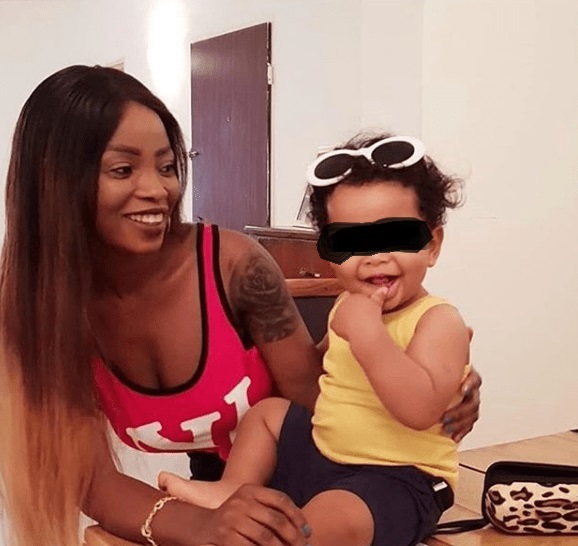 A woman (pictured above with her baby) has been reportedly stabbed to death by her nanny while sleeping at their home in the FCT, Abuja. 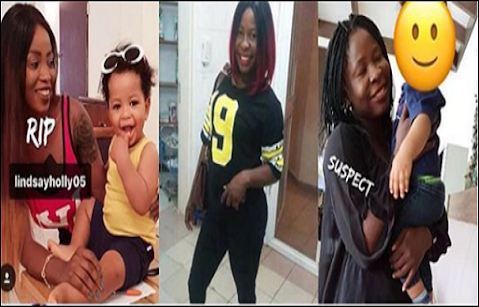 One of her friends, identified as Ruby Galore on Instagram, took to social media to narrate how a nanny, identified as Johnson Becky, stabbed the woman, Yemisi, to death in the Asokoro area of Abuja. The sad incident reportedly happened on the 23rd of September 2018, where the maid murdered her said employer in the middle of the night, in her sleep. She wrote: "Please share and repost!! This wicked soul murdered my friend midnight while she was sleeping, stabbed her to death and ran away with valuables, she’s been working as a nanny to my friend for the past 5 months …. please anyone with a vital information should call this number 08159467474 or DM …Thanks everyone. #Nigeria #news #abuja #asokoro #lagos." Galore said the case was reported to the police and investigation has commenced. The nanny Becky, from Akwa Ibom state, who has been with the couple for some time, had travelled out of the country with them a few times. There are fears that she might flee the country and evade justice for her alleged act.